As the kickoff of the CAFL approaches on October 1st, the interest in the new league continues to grow. 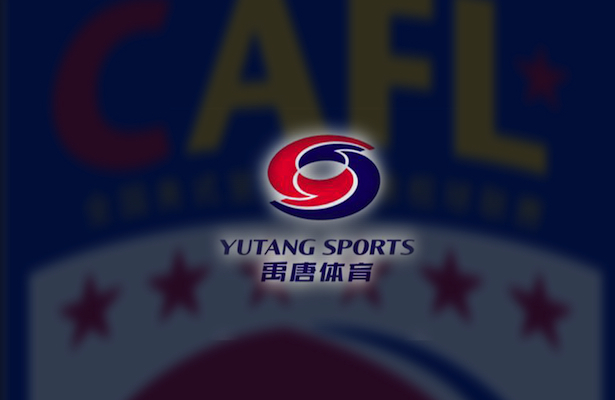 Yutang Sports, fast becoming China’s source for mobile sports information, recognizes the significance of the recent broadcast partnership between the CAFL and the iQIYI network in the story that it posted on September, 8. After several years’ preparation, the China Arena Football League (CAFL), will debut on 1st October this year. Recently, the largest digital video service platform in China, iQIYI, has announced a partnership with CAFL. iQIYI will exclusively broadcast all of the 18 games for six weeks. This is a first for iQIYI signing a strategic partnership with the first and only American Football League in China. It will play a significant role in promoting American football in the country. Since 2012, the CAFL has been preparing to form the American style league. In October 2016, they will hold games in Beijing, Dalian, Qingdao, Guangzhou, Shenzhen and conclude with its first championship, “The China Bowl” in Shanghai. All the games will be displayed on the iQIYI websites or its APP. With the increasing popularity of the National Football League (NFL), the number of American football fans has increased tenfold. China boasts a strong foundation and a promising market to promote this sport.